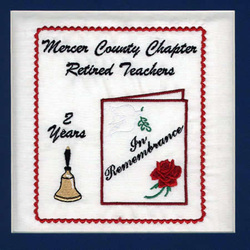 The Mercer County Retired Teachers Association were members of a combined Auglaize-Mercer County Chapter RTA from May 20, 1967 through 1974. Through the suggestions of a District II Director, Mercer County Chapter RTA became independent in December 10, 1974. Membership listed in the 1975 program booklet was 34. From the years as a part of the combined Auglaize - Mercer County Chapter and through the years as the MCRTA, interest has been keen concerning items relative to the welfare of retired teachers. MCRTA representatives have attended regional and state meetings. Members send letters and phone calls to legislators when requested. Also, many state ORTA officials have addressed the chapter thus keeping the members informed of upcoming issues. Local Mercer County people have discussed subjects of special interest to the membership.